Source: Christmas In Art And Song: A Collection of Songs, Carols and Descriptive Poems, Relating To The Festival of Christmas (New York: The Arundel Printing and Publishing Co., 1879). And words of holy cheer! The Christmas fire may glow? Light up the Christmas Tree? And age with glory crowned. From out the shining leaves. So eager once was she. With light and joy divine. 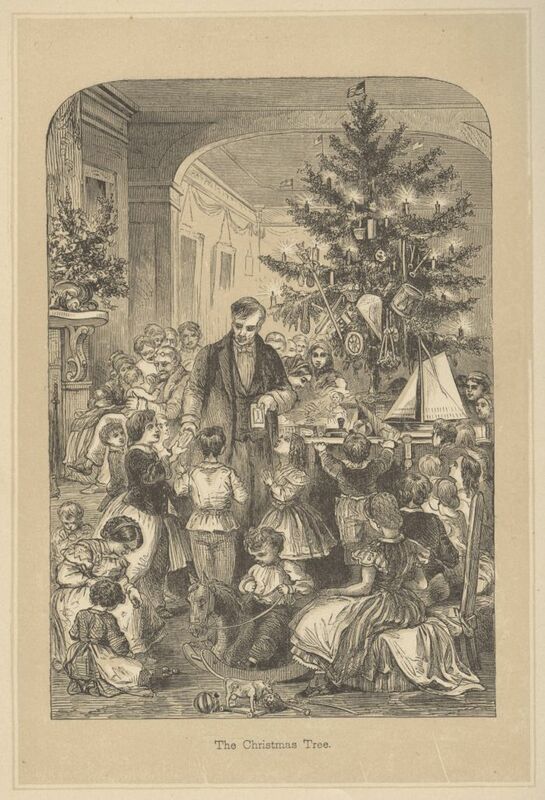 Artwork by John A. Hows from Christmas In Art And Song. New York: The Arundel Printing and Publishing Company, 1879.